This talk will introduce Yoshino Genzaburo’s Kimitachi wa do ikiru ka? (How Do You Live? ), which is the inspiration behind a future Hayao Miyazaki movie of the same title. 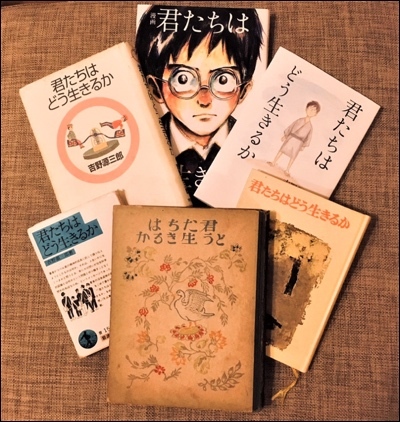 Learn about the background to this story of Copel-kun learning to think for himself with the guidance of his uncle and through experiences with his friends; the portrayal of a rapidly changing society in 1930s Tokyo; and how the work has evolved since it was first published as a children's book in 1937 through to 2017 when it became a best-selling manga. What is it about this eclectic story that makes it so well-loved? Come and find out! Directions: See Book House Cafe website for map; come out Jinbocho subway exit A1, turn right and walk about 15 meters to the Kitazawa Building. We will be in the hall at the back of the second floor (elevator available). Look for the SWET signs.